Hi Cecilia. Tell me, do dreams ever inspire your writing? What did you last dream about? Hi Suzy! Thanks for interviewing me. I dream vividly just about every night, and while I suspect some of the scenarios may creep into my writing, it's been a while since I've had one complex enough to inspire a whole story. It happens occasionally. About two years ago, I dreamed about a girl who had been secretly loved by a doctor for years. That turned into my steampunk story "Rebellious Minds," which isn't published yet. I'm thinking about turning it into a full-length novel at the suggestion of one of my beta readers. One funny dream recently... I live in a suburb of Atlanta where the schools are really good, so there are a lot of families with young kids here. I dreamed I had a baby but came home from the hospital with two because they were having a special. When I told my husband, he said that would explain the large number of kids in our part of town. According to my mother, I wrote my first story when I was two. It was about a bunny, and what it lacked in plot or character development, it more than made up for in enthusiasm. I wrote little stories during grade school and longer stories in high school and college, but writing then fell by the wayside as graduate school got too intense. I came back to writing after a setback, and I'm glad I did. I would say I've been giving it serious attention for about twelve years. My first publication came with winning small publisher Buddhapuss Ink's "Mystery Times Ten" contest in 2011 with my fantasy mystery "The Coral Temple." The anthology is still in print and available (Amazon). Two other short stories were accepted by smaller, regional publications that year as well. My big break with books came in 2013, when Samhain Publishing accepted The Mountain's Shadow, the first Lycanthropy Files book. I was so excited when I got The Email that I clutched the end of my desk and said to my husband, "Holy crap! I think this is it!" I don't think I slept much that night. When I was a kid, I used to imagine what it would be like if I could move stuff with my mind, usually chalk and erasers when I was in school. Yes, I was a huge daydreamer, and I can still think of some classes and teachers I would have loved to do that to – is that mean? Sadly, I still don't have those abilities, but I can write characters who do. 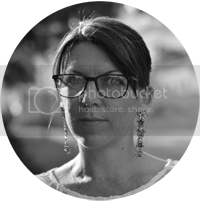 I'm also really fascinated by the idea of identity – how do we know who we are? The paranormal world gives me a chance to extend that to "how do I know who and what I am?" I do read other genres. It depends on my mood and what I've got on my Kindle. My go-to genre when I'm feeling sick or stressed is historical romance followed by contemporary romance, although I will read paranormal stuff as well. Basically I read what I find interesting and what I have on hand at the time. 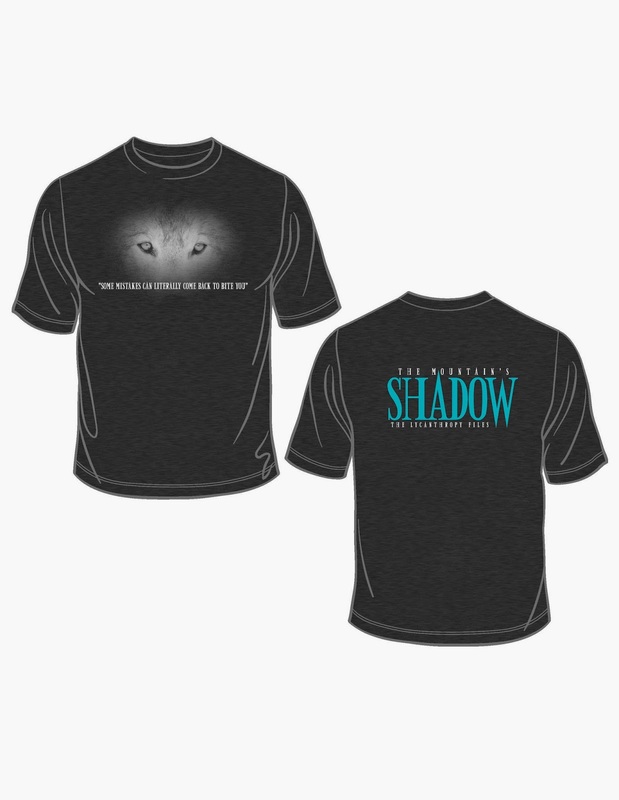 Can you tell us a little about your latest book, Long Shadows? Although it's the sequel to The Mountain's Shadow, it can stand alone. Lonna Marconi, a social worker who does private investigation on the side, has a pseudo-life limited by the fact she's a werewolf. She realizes she's being followed by something and then overhears her boss on the phone plotting to do something to her. She flees, but she continues to be pursued even to the remote woods of North Georgia. Throughout the book, she's struggling with her own identity, particularly after discovering a family secret that means she's not just a werewolf, and her attraction to Max Fortuna, a doctor who is also a wizard with his own secrets. What inspired you to write it? And why the fascination with wolves? I knew at the end of The Mountain's Shadow that Lonna needed to have her own story. I didn't exactly leave her hanging, but I did leave her with some issues to sort out including "that little werewolf problem," as she puts it. My parents have a place in North Georgia, so I knew I wanted to have it partially set there. There's also a section in the Caribbean, mostly because I was writing it last summer and really wanted to go to the beach. As for the wolves, when I started The Mountain's Shadow, I was over vampires and felt the market was, too. I'll admit I was wrong, at least with regard to the market. I was in graduate school for clinical psychology and have always been fascinated by the different and sometimes conflicting aspects to personality. Werewolves have a literal double life, and I wondered what sorts of things could be going on in the brain during werewolf changes. In Long Shadows, I play with that because there's a substance that can keep them from changing, and Lonna has a literal werewolf side she can talk to. All the cover work is done through my publisher, Samhain, who assigned me to phenomenally talented artist Kanaxa. I fill out a form, send it to my publisher, and a couple of months later, I get a gorgeous cover. 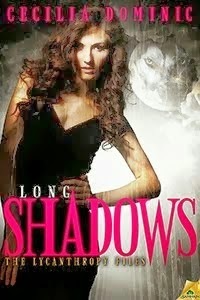 If Long Shadows was made into a film, who would you cast? I would cast Laura Benanti as Lonna and Tom Hiddleston in his redheaded incarnation as Max. What's your favourite urban fantasy book that made it to the big screen? This is a tough one because I don't really watch movies, so I'm not really aware of what's made that leap to film. I'm ashamed to say that the last film in the fantasy genre I saw in the theater was the last Pirates of the Caribbean movie. I just finished Terry Poca's Tequila Sunrise, which was a fun contemporary. Before that, I read Lynn Viehl's Disenchanted & Co, a steampunk, which I loved. I'm currently reading Jaye Well's Red-Headed Stepchild, which is about an assassin who is half vampire. Ack! I have to pick only one? I'm a member of the Georgia Romance Writers, which is mostly women, and a lot of us are early in our careers. It depends on genre. For urban fantasy, I would say Seressia Glass, Debbie Herbert, or Anise Rae. Larissa Reinhart is writing a really fun cosy mystery series set in a town in rural Georgia. Also on the Southern theme, I'd pick Linda Joyce for her contemporary series set in Louisiana. Finally, Anna Steffl is doing great things with fantasy. Wherever I can! Parts of this interview were written in my day job office, in my home office, on the loveseat in the living room, and at a picnic table on the square in Decatur, the part of Atlanta I live in. I wanted to be a marine biologist and study sharks. However, I'm a redhead, so at some point I realized that all the outside work would probably end up being really bad for me no matter how much sunscreen I would use. Plus, sharks can get bitey. Now I'm a clinical psychologist, and I deal with health insurance companies, so I feel that's close enough. ;-) I've always loved writing stories, though, so I'm glad that part of my childhood dreams worked out. Hmmmm, I would want a natural redhead, but apparently they're hard to come by. Christina Hendricks would be great because she could channel my sarcastic side. Top drink to make you tipsy? Cosmopolitans. I'm a wine girl, so one cocktail is enough to loosen me up. Shopaholic or shopadon't? Shopping = meh. E.L. James or Jilly Cooper? Haven't read either, but I have no desire to read E.L.James, so that would mean Cooper by default. Cry baby or tough cookie? Tough on the outside, gooey in the middle. Exotic beach or enchanted forest? Depends on the time of year. I'll take forest except in summer. Also available anywhere else ebooks are sold. Spoiler alert: if you haven't read The Mountain's Shadow, the content below contains spoilers. When I got home, I sensed something was not right. At first glance, the building looked the same—a two-story, four-unit brick building with lit stairwell between the units on each floor. Dusk was falling, and the lights had just started flickering on, but there was something wrong with the shadows. I squinted and flared my nostrils. An unfamiliar tropical scent rode the top of the breeze. It threaded through the layers of stale cigarette and the bruise-like decay of takeout containers in the bag of trash by my neighbors’ door. Lazy asses. The new scent, if it had a color, would be fuchsia over the grays and browns of ordinary life, and a shiver tiptoed down my spine. Whether it was of fear or excitement, I didn’t know. One by one, the lights in the stairwells buzzed, popped, and flickered out. That could only mean one thing—a wizard—and my previous encounter with one had left me with this little werewolf problem. Okay, fear it is. Whatever you do, don’t show it. Just get into the apartment. Sure they had seen me, I played nonchalant and grabbed my purse off the passenger seat. I left the files I’d been planning to work on once Giancarlo passed out after his second bottle of wine. He was due over in half an hour and I needed to make sure he wasn’t in danger. The internal twisting and folding inward sensations told me the aconite hadn’t quite worked out of my system from the night before, although the swill that passed for office coffee had kept my frontal lobes jazzed enough during the day to fight the effects. "No, we’re not going to change now." Sometimes sternly addressing my animal side worked, like I had to constantly reinforce I was the alpha of my own mind, especially with the aconite hangover. That was a different kind of fear—it seemed the aconite was taking longer and longer to wear off each time. The animal part of my brain scrabbled in my skull, wanting me to change and hunt down whatever the threat was. "Down," I told it. "Maybe the rat I killed last night has a vengeful family?" "No, whatever it is, it’s bigger than a rat and is watching you." I shivered and cursed under my breath. "Thanks, really. No showing weakness, remember?" Sometimes these conversations I had with myself were useful. Most often, not, and I was left wondering whether I was insane, and maybe all the werewolf stuff was a wicked psychosis. I held my keys in my right hand and my pepper spray in my left. My inner wolf scoffed at my puny defenses, inferior to fangs and claws. Each light I walked under flickered back to life, and a warm breeze followed me. Again, the scent of fuchsia, both the color and the flower, came to me. Someone’s toying with me. They know I’m aware of them. Why don’t they show themselves? I reached my apartment and looked around before I stuck my key in my lock. Again, nothing visible, but something was out there watching me. I ducked into the apartment and closed the door behind me, breathing a sigh of relief when my lights switched on without flickering or flashing. I put my purse on the counter next to the postcard reminding me that it was time for my physical and I was scheduled for blood work the next morning. My phone buzzed with a voicemail. The call hadn’t rung, although it should have. I touched the little icon and listened to Giancarlo’s lilting tones. His cheerful voice sounded odd in the context of my strange experiences. "Lonna, Bellissima, I am so sorry, but something’s come up at the restaurant, and I cannot make it. Know you will be in my heart tonight." "Along with your Chianti." I simultaneously exhaled with relief and disappointment at Giancarlo’s cancellation. I certainly didn’t want to put him in any danger, but I also needed to blow off some steam. The day after the full moon was the worst for wanting to explore other animal impulses once the desire to hunt was satisfied. Yet another thing they didn’t tell me. I went to bed after an uneventful evening with no more electrical strangeness. By the time I ventured out to the Jeep to get the files I needed to catch up on, the odd odor had disappeared. That night I dreamed of a tropical beach with a turquoise ocean at my feet and large-leafed flora all around. Huge fuchsia plants dripped the scent of their purple and pink flowers on the breeze. I leaned back in my beach chair, cold drink in hand, and soaked up the sun, happy I wouldn’t have to renew my membership to the tanning salon. Yes, I knew it was bad for me, but it was my one indulgence. Never mind that I had on the skimpiest bikini I’d ever worn and had to keep sipping my drink so I wouldn’t open my mouth and spill all my secrets to the strange man who sat beside me, but whose face I couldn’t quite make out. Wait a second, whose dream is this? A buzz startled me awake, and the radio hissed on. I fiddled with the knob. It settled into its regular morning show alarm just as the DJ announced the rain and current temperature with unwarranted perkiness. Something about it reminded me of the flickering lights the night before and how my phone hadn’t rung when Giancarlo called. I shivered again, but I attributed it to the damp and current temperature near forty. My inner wolf laughed at my dismay. "Those conditions would be nothing for fur… or spirit fur. Change! We’re being stalked." "Tonight. I can’t take the aconite too much. It’s poison in a normal human body." A snort, then, "Change for real." "Can’t. Too hard to manage doors, and I can’t escape tight situations in an instant by returning to my body." No response, but I sensed her sulking. I knew "she" or "spirit wolf-Lonna" was a manifestation of the animal part of my brain, or maybe even some sort of spiritual part of me, but sometimes she seemed oddly separate, like when we had these conversations.